An explosion of scientific research worldwide is providing new insights into the importance of the gut as “the gateway to good health” and giving new meaning to the phrase “you are what you eat.” The neglected organ has been subject to increasing scrutiny as technological advances are revealing the health of your gut is the gateway to health. 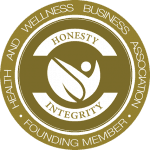 In fact, the root cause of many seemingly unrelated chronic health complaints may be discovered by simple tests that assess the health of the gastrointestinal tract. This could mean an end to your persistent symptoms, once and for all. Heart disease just to name a few – which can make diagnosis and treatment recommendations difficult. When the cause of symptoms is unknown, a “one-size-fits-all” approach to treatment (e.g., anti-inflammatory medications, antibiotics, etc.) may bring temporary relief, but before you know it the symptoms return and you are back to square one. You might think that your aches, pains, itches, tummy troubles, and tiredness are just part of getting older. You may have grown used to these symptoms as part of your “new normal.” But it is possible to find out what’s beneath certain chronic ailments, as the first step toward lasting relief. Scientists are discovering that chronic health problems may be related to the balance of bacteria and other micro-organisms living inside your intestines (collectively called the gut “microbiota” or “flora”) and the health of your gut lining. What is the Gut Microbiota and Why is “Intestinal Permeability” (aka Leaky Gut Syndrome) Important? The gut is a complex ecosystem containing trillions of micro-organisms (mostly bacteria, and collectively called the “gut microbiota” or “gut flora”) that help regulate the immune system, digest food, make vitamins, and protect us from toxins and pathogens. The gut lining, or single-cell thick “intestinal mucosa,” forms a barrier that allows nutrients from digest food to enter the bloodstream but keeps bacteria, toxins, and undigested food out. Increased intestinal permeability can cause the immune system to overreact to foreign substances or foods that leak through to the bloodstream, creating inflammation in various tissues, e.g., the joints (rheumatoid arthritis), skin (eczema or psoriasis), the thyroid gland (Hashimoto’s thyroiditis), and pancreas (type 1 diabetes). The state of our gut flora has a major influence on our state of mind, affecting our ability to handle stress. Stress hormones such as cortisol can in turn cause gut inflammation, nutrient deficiencies, and metabolic disturbances that may directly affect the nervous system. Feeling rundown, with weight gain or loss, is often the result of inflammation in the gut. Excess dietary sugar, exposure to toxic chemicals, imbalanced gut flora, and stress may all be contributing factors. Hormones important for regulating thyroid function, energy levels, and blood sugar are all affected by the health of the gut. In genetically susceptible individuals, the immune system may overreact to certain triggers in the gut (e.g., bacteria, foods, medications, or stress) leading to periods of severe inflammation and abdominal pain, with increased intestinal permeability and diarrhea. 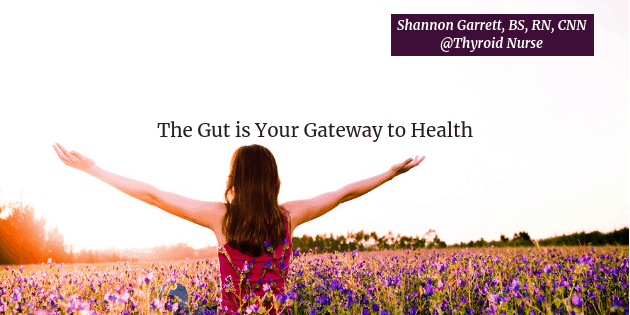 It is important to get to the root cause of your symptoms by taking a look at what’s going on with a comprehensive gut health assessment. From there, you’ll want to avoid all offending foods and food additives & colorings according to the results of the test, which may or may not be long-term after the completion of a rotation cycle to reintroduce certain foods. The main caveats for testing are making sure the testing methodology is scientifically supported along with an easy-to-follow lab report to help you more effectively tackle the underlying cause of your chronic condition and restore you (and your gut) to a state of optimal health. Taking the initiative to reduce inflammatory foods is helpful. Our thyroid menu plans bundle includes 140+ recipes, shopping lists, weekly menus, and nutrition facts. All the recipes are easy to prepare, delicious, and do not include exotic ingredients…everything you need can easily be found in any grocery store. Since inflammation is often a contributing factor to nutrient deficiencies, it’s important to replenish the body with nutrients which are known to help repair the lining of the GI tract, along with specific strains of probiotics, and high-quality digestive enzymes. The number of symbiotic microbial cells harbored by each person, primarily bacteria in the gut, that make up the human microbiota. The microorganisms living in your gut make up about 2 pounds of your total body weight. The gut is home to most of the body’s immune cells; a healthy gut is, therefore, vital for a healthy body.